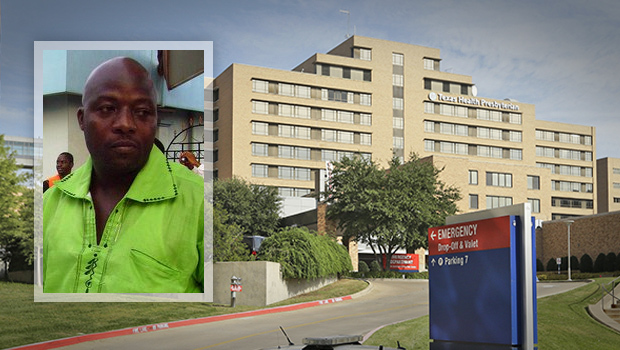 A national nurses union is decrying an absence of protocols at the Dallas hospital where a man died of Ebola and a nurse was infected while caring for him. But they were vociferous in citing a lack of protocols on the day that Thomas Eric Duncan was admitted with extreme symptoms of Ebola. Tuesday night, Texas Health Presbyterian issued a statement in response to the nurses' charges. "Patient and employee safety is our greatest priority and we take compliance very seriously. We have numerous measures in place to provide a safe working environment, including mandatory annual training and a 24-7 hotline and other mechanisms that allow for anonymous reporting. Our nursing staff is committed to providing quality, compassionate care, as we have always known, and as the world has seen firsthand in recent days. We will continue to review and respond to any concerns raised by our nurses and all employees." Also Tuesday, the nation's top disease-fighting agency acknowledged Tuesday that federal health experts failed to do all they should have done to prevent Ebola from spreading from a Liberian man who died last week in Texas to the nurse who treated him. A total of 76 people at the hospital might have had exposure to Thomas Eric Duncan, and all of them are being monitored for fever and other symptoms daily, Frieden said. That figure confirmed an Associated Press report on Monday that nurse Nina Pham was among about 70 hospital staffers who were involved in Duncan's care after he was hospitalized, based on medical records provided by Duncan's family. The announcement of the government's stepped-up effort came after top health officials repeatedly assured the public over the last two weeks that they were doing everything possible to control the outbreak by deploying infectious-disease specialists to the hospital where Duncan was diagnosed with Ebola and later died. "I wish we had put a team like this on the ground the day the patient - the first patient - was diagnosed. That might have prevented this infection. But we will do that from today onward with any case anywhere in the U.S.," Frieden said.